Tired of the hustle and bustle at your work and home. Get away by spending a relaxing beach vacation at Kingston Plantation Windmere By The Sea. This North Myrtle Beach rental condo complex provides guests with a charming and quiet setting that is perfect for escaping everyday life. It is also located near Shore Drive, which puts you in the heart of South Carolina attractions. This second-row vacation resort is just a short walk from the beach, so you can make memories on the sandy shoreline whenever you like as well. There is so much to do when you spend your North Myrtle Beach vacation at Kingston Plantation Windmere By The Sea. This North Myrtle Beach resort consists of multiple rental condos, complete with endless amenities. Each condo boasts its own layout, so whether you are embarking on a family vacation, planning a getaway with your girlfriends, or traveling with your golf buddies, you will be able to find a vacation rental that is right for you. This North Myrtle Beach resort also boasts a beautiful landscape of with large trees, high bushes, and a quaint pond. Although it is located across from high rises, its setting will make you feel like you are in your own little corner of the world. Each condo rental featured at Kingston Plantation Windmere By The Sea has potential to become your home-away-from-home. 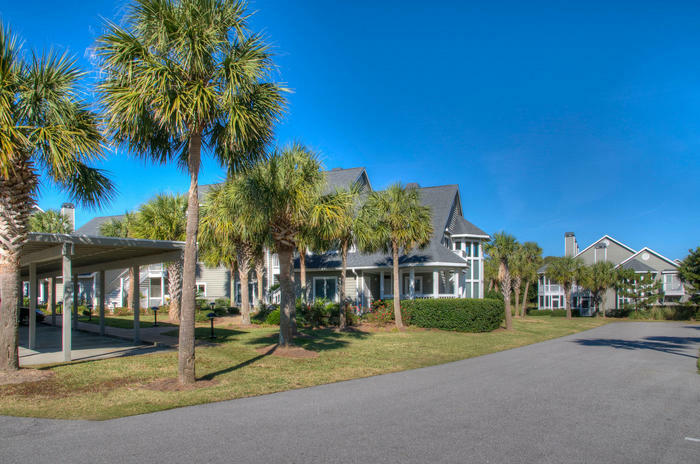 Featuring high ceilings, spacious rooms, and modern furnishes, the condo rentals that make up this South Carolina resort have everything you need to enjoy a relaxing vacation. Each North Myrtle Beach rental boasts colors and décor that mimic the beach nearby. These second-row vacation condos also feature outdoor balconies, where you can do a crossword puzzle, eat breakfast, or read a book. These private perches are also perfect for taking in the salty ocean air and listening to the sound of crashing waves. Each vacation condo at Kingston Plantation Windmere By The Sea also boasts a gourmet kitchen that is perfect for chefs of any skill level. Whether you are whipping up a small snack before heading over to the beach or preparing a seafood dinner, these rental condos give you enough space and appliances to get the job done. If you do not feel like cooking, you can always make a reservation online, as these beach rentals feature wireless Internet access. This vacation resort also includes a variety of on-site restaurants and lounges if you want to satisfy your taste buds. You can also dig into a tasty meal at one of over 1,000 of dining options at Restaurant Row, just right down the street from Kingston Plantation Windmere By The Sea. Elliott Beach Rentals is not affiliated with onsite management or the HOA of Kingston Plantation Windermere By The Sea.